Delightful vintage style wall lantern. 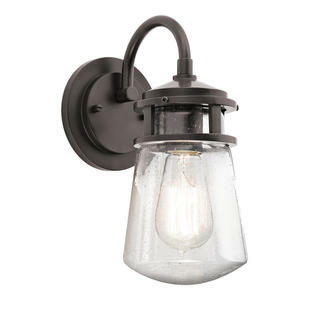 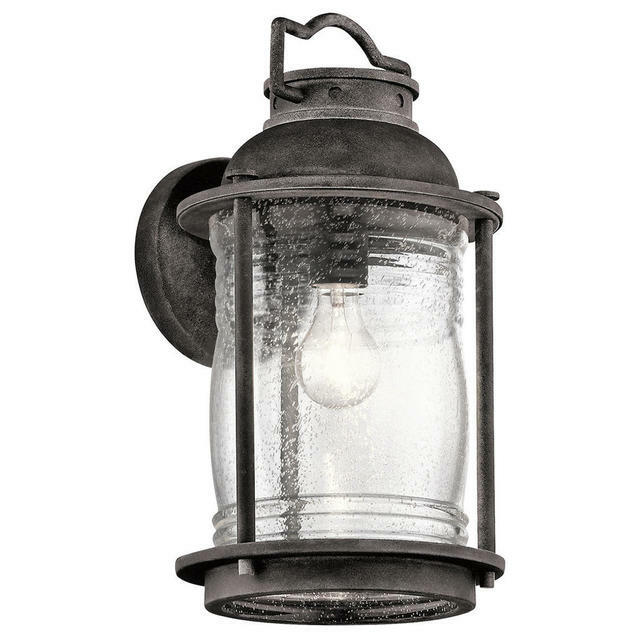 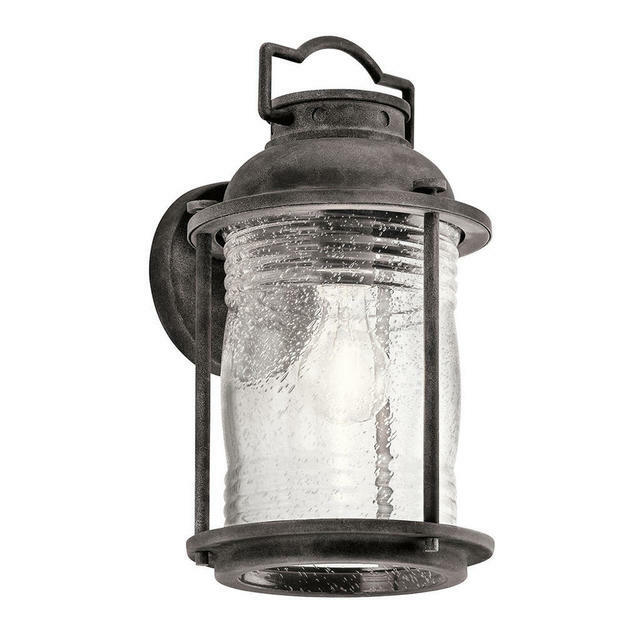 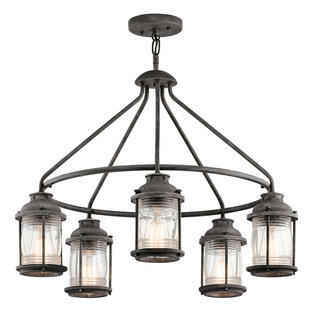 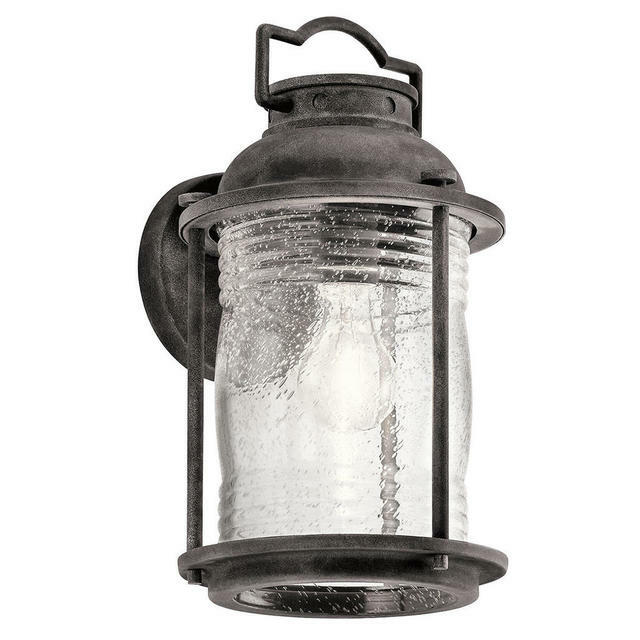 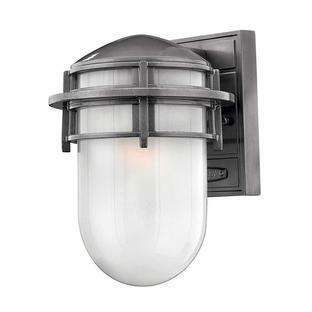 Add a little bit of colonial charm with the Ashland Bay wall lantern in porchways and entrances. 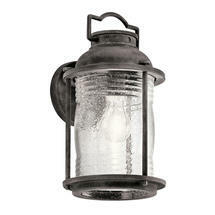 The traditional design is enhanced by a weathered zinc finish and clear glass. Use an old fashioned Edison-styled bulb for a elegant vintage style. 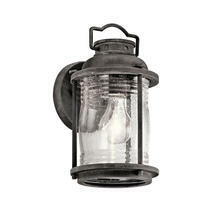 Suitable for use outdoors and in bathrooms.